It’s that time of year: the span between Thanksgiving and Christmas where the superstar of cooking holidays has passed, but another mega meal seems just around the corner. If you have any vegetarians in your family, or others on special diets, the menu planning for these meals can make you a little harried. Not surprisingly, the interest in festive recipes is high in December, even among professionals. I was recently asked to give a cooking demo on vegetarian holidays for the dietitian members of the Greater Seattle Dietetic Association. 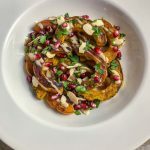 To prepare, I tried out a lot of recipes and ended up settling on a tasty list of appetizers, main dishes, and desserts that would be welcome on any meatless holiday table. 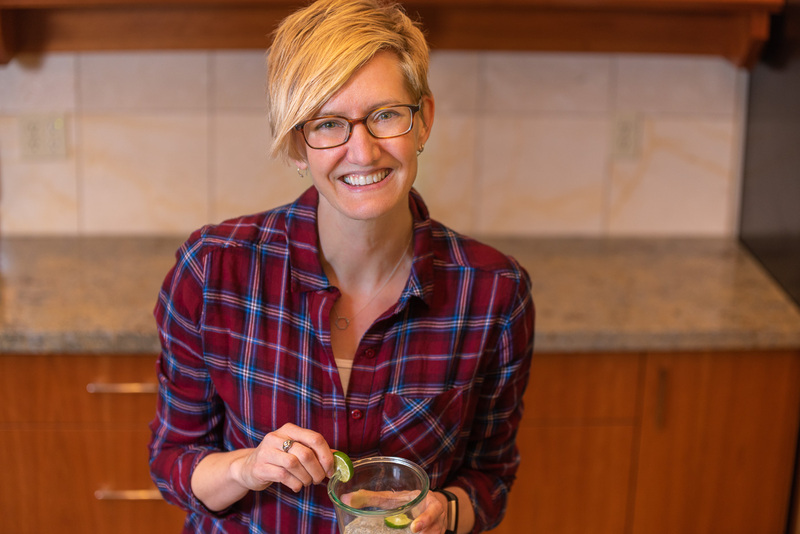 My focus was nutrient-dense recipes that target the minerals and vitamins and such that often deserve attention in vegetarian diets like iron, calcium, and protein. I figured this list might be of interest to non-dietitian peeps as well, so I want to share it with you today. 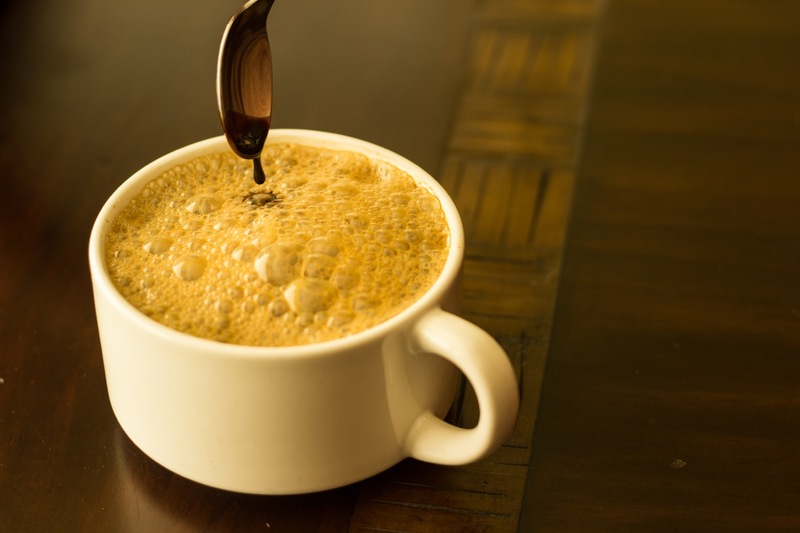 An unexpected ingredient (blackstrap molasses) makes a nutritional powerhouse out of a warm cup of soymilk. It’s brown, it’s sweet, it’s cozy, it’s comforting, it’s high in calcium and iron, and it’s delicious. 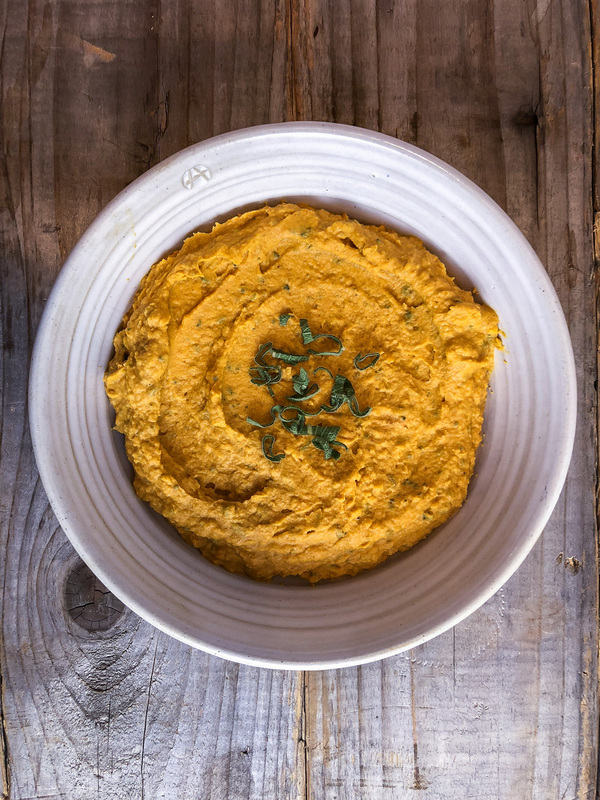 I’m sure you already have a favorite hummus recipe but this one feels a bit seasonal because of the pumpkin and a bit special because of the smoked paprika and nutmeg. It just happens to provide iron, calcium, zinc and protein with every dollop you scoop up with a pita chip. Doesn’t it seem like we get plenty of cookies and fudge and eggnog during the holidays, while vegetables and fruit take a backseat? 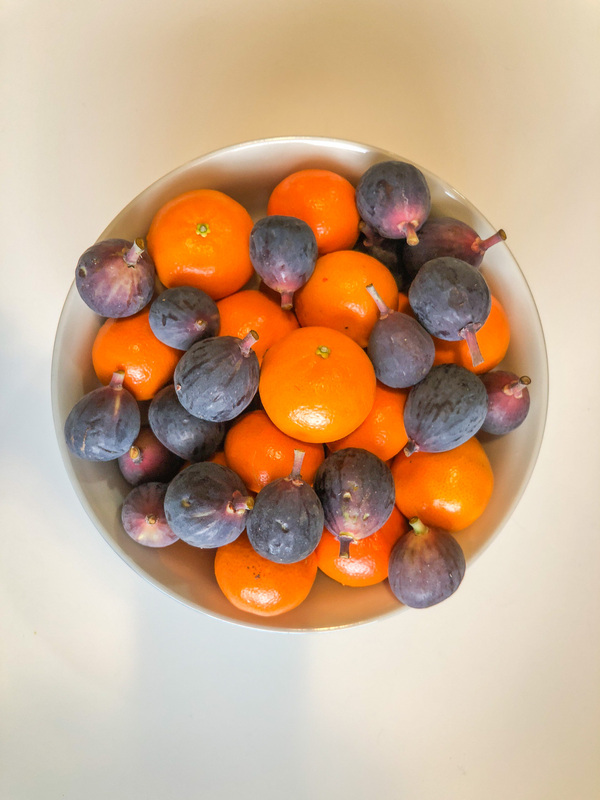 Putting out a simple bowl of fruit can provide a healthy and refreshing alternative to the rich sweets, and oranges and figs offer unexpected nutritional advantages in the form of calcium. This was the dietitians’ favorite recipe at my cooking demo. 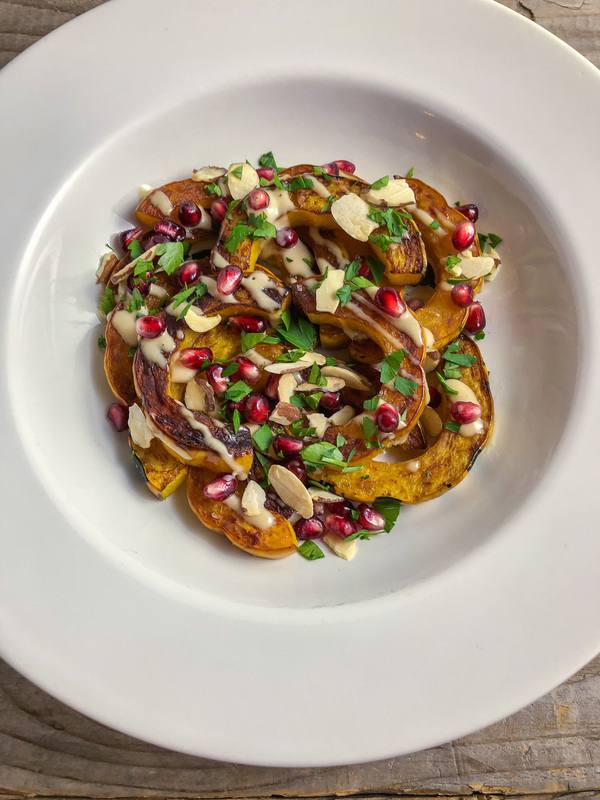 It’s seasonal and festive and I think it’s eye-catching enough with the green parsley and red pomegranate to elicit oohs and aahs when it makes its way to the holiday table. 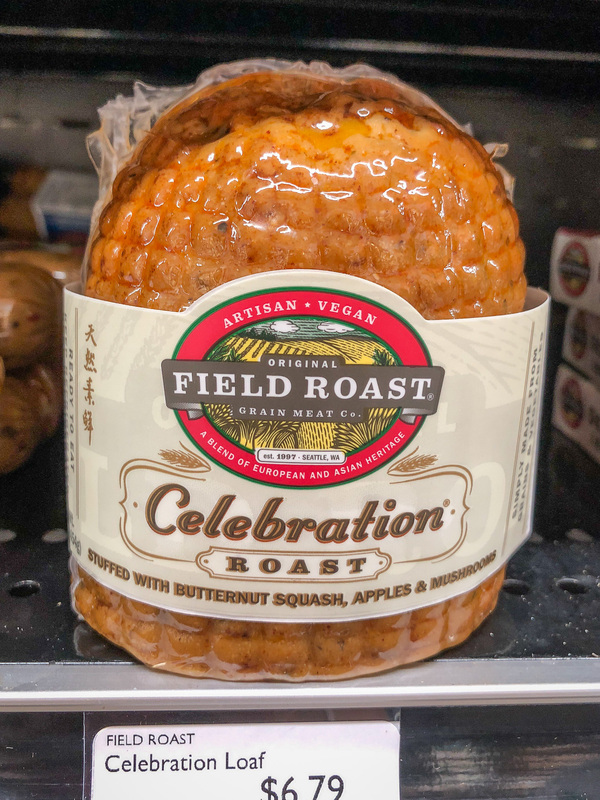 My absolute favorite holiday replacement for turkey or ham. It tastes wonderful with mashed potatoes and gravy and really delivers on protein and fiber with lots of lentils and oatmeal. The cranberry glaze is heavenly; I could eat that with a spoon all by itself. (And I often do, right out of the pan.) The only change I make to the original recipe is to replace the water with veggie broth. 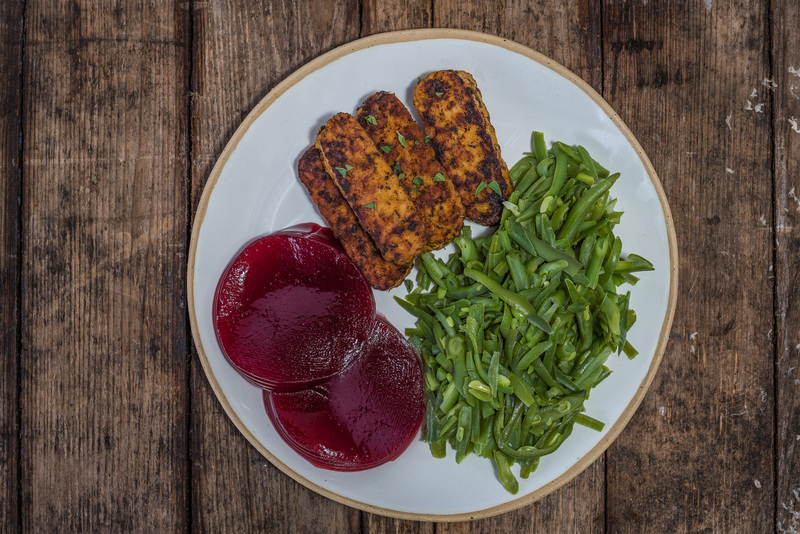 Imagine taking all the traditional flavors of Thanksgiving like sage, thyme, and poultry seasoning and replacing the turkey with tempeh. 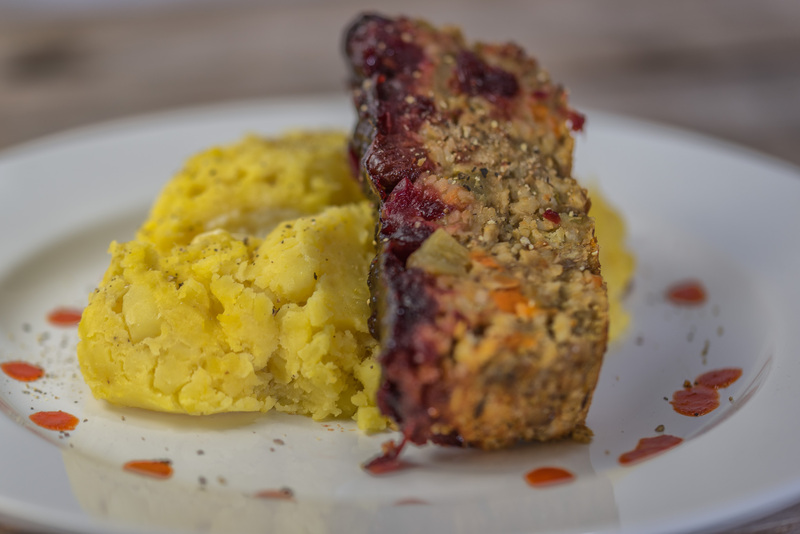 This marinade is thick and flavorful and it really livens up the tempeh, making it a wonderful protein-rich main dish for the vegetarians and vegans at your table. If you just don’t have it in you to fashion a meat alternative from scratch, rely on the experts to do it for you. 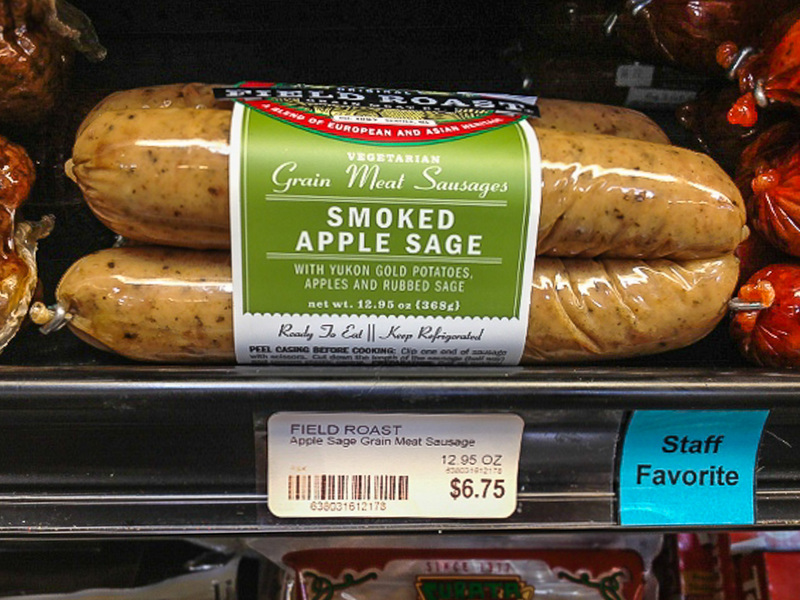 Field Roast makes a couple of different products that would be quick and convenient additions to the menu. With apples and sage, and butternut squash and mushrooms, these gluten-based proteins feel seasonal and taste great. I know Thanksgiving is really the time for pumpkin pie, but this recipe is so unique, I think you might be inspired to bust it out at Christmas. First of all, it’s crustless. That means fewer calories. 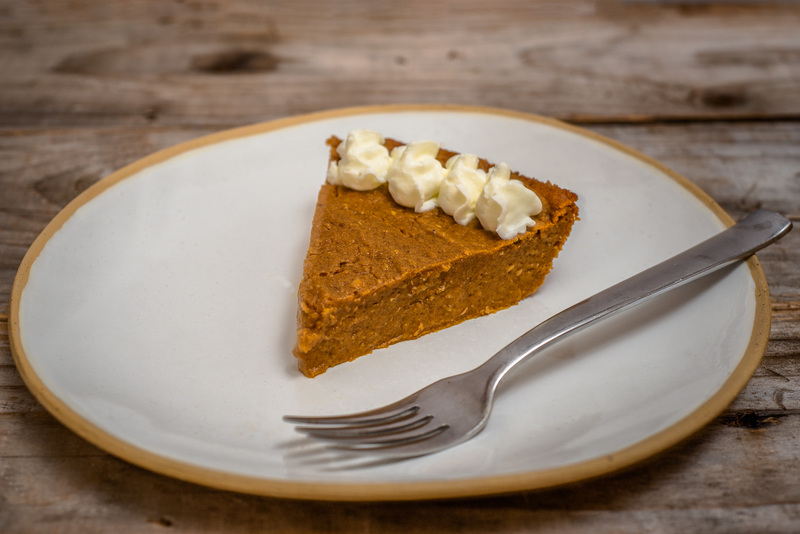 Second of all it’s got some non-traditional ingredients (like flax seed, maple syrup, whole wheat pastry flour, and canola oil) but a traditional pumpkin pie taste. 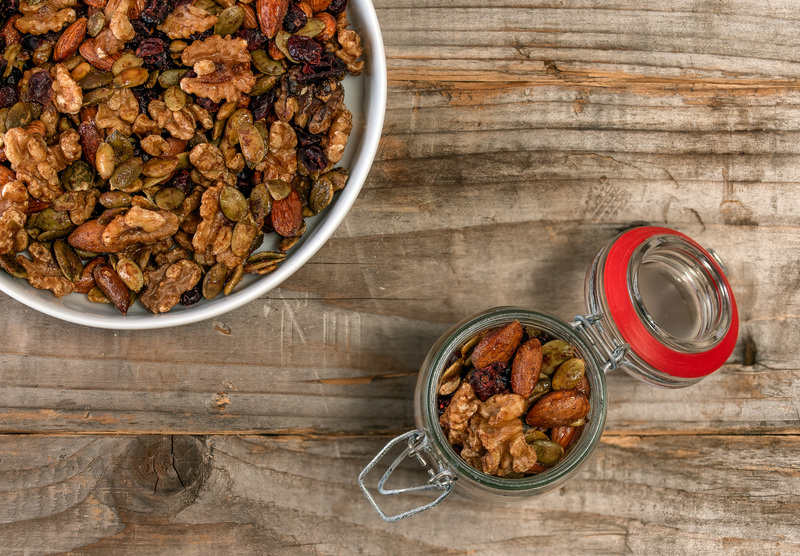 That means it’s got extra nutrition in the form of omega 3 fats and fiber. This is one of my very own recipes. I regularly eat it for breakfast, but I think it would make a sweet and creamy holiday dessert as well. 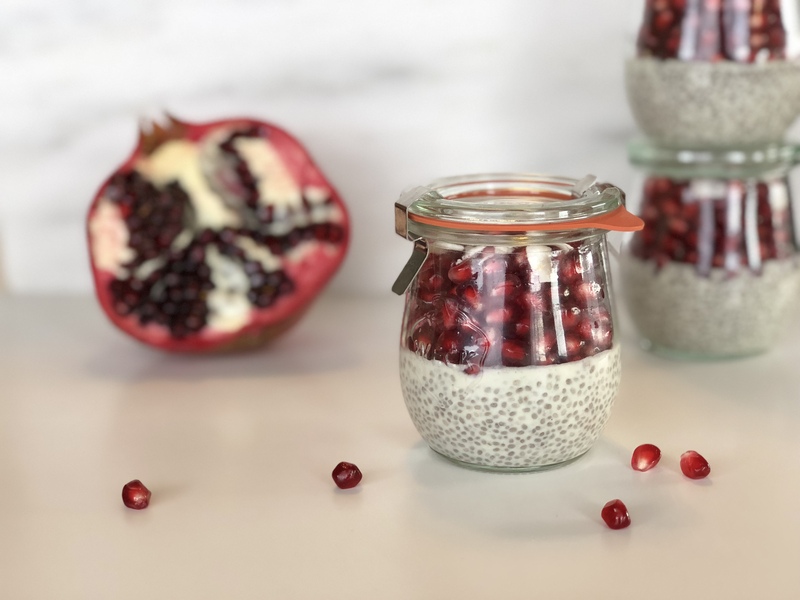 It’s also a sneaky way to get in some healthy plant fats in the form of chia seeds. The original recipe calls for pomegranate, but I’ve been thinking it would be delicious with freshly sliced cranberries this time of year. Something about the red and the white sort of makes it feel like Christmas in a jar. Well, that’s the end of my menu. Did you see anything that might be at home in your dining room (or kitchen, or balcony, or wherever) on December 25th? If you choose wisely, your vegetarian Christmas meal can be celebratory, vibrant, mouthwatering, and nutritious all at the same time. Definitely going to try and make this next year! !=) love these unique and delicious recipes!